Professional quality, long handled, natural bristle brushes for oils and acrylics. These brushes feature interlocked hairs for resilience and control, and flagged tips for increased color carrying capacity. 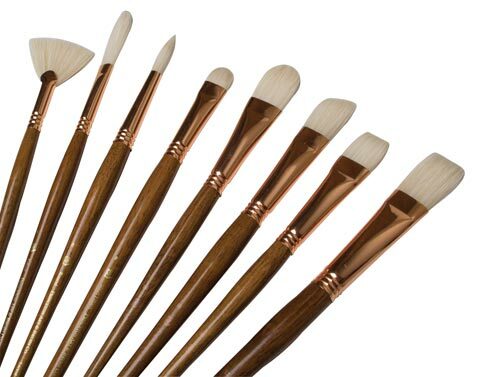 The soft, beautiful bristles are secured to the rich, natural wood finish handles with attractive copper ferrules.